Ziptrek Ecotours truly delivers it all as a global leader in zipline based, adventure ecotourism. 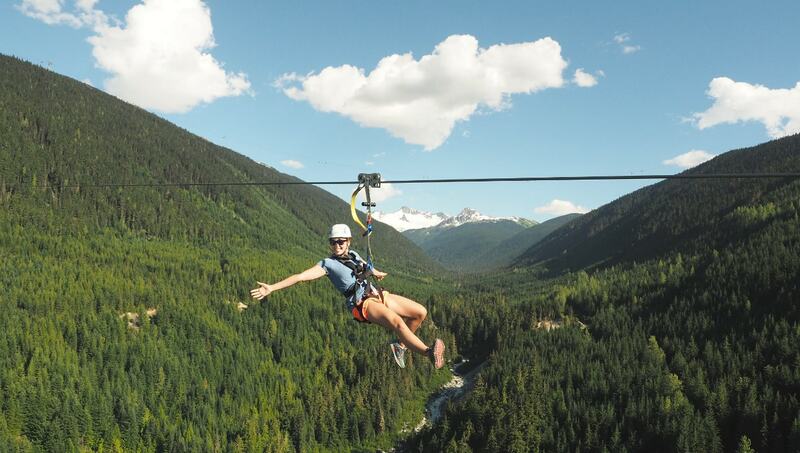 The company offers guided zipline tours in Whistler and Mont Tremblant, Canada, as well as Queenstown, New Zealand. Combined with high profile Signature Events, Ziptrek has established itself as a preeminent name in the adventure tourism industry. Visit any location via the buttons provided and find out more about each locale. We hope you manage to experience one, or all of our spectacular locations! The birthplace and global home of Ziptrek Ecotours, this is where it all began back in 2002. Ziptrek is the North American pioneer of guided zipline tours, and the Whistler location now hosts 5 distinct zipline tours by way of 11 individual ziplines, as well as the TreeTrek Canopy Walk. This is also home of The Sasquatch® - The longest zipline in all of Canada and the USA! Ziptrek's 2nd permanent location was launched in 2009, and soon brought prominence to ziplining in the southern hemisphere. Boasting the steepest tree-to-tree zipline in the world, Ziptrek New Zealand also offers up sensational views of the breathtaking Lake Wakatipu and Remarkables mountain range as the experience begins atop Bob's Peak in beautiful Queenstown. Home to the longest ziplines in the province of Quebec, Ziptrek Tremblant offers up a truly amazing experience that zips you from the mountain summit back down to the village. Located in the famed eastern Canadian resort, this operation was launched in 2014 with a state of the art build which features all 5 ziplines being twinned. Spectacular views from one of the highest points in the Laurentians! Have a look at the amazing places we've been! Showcasing the world class events that Ziptrek has participated in over the years by way of one of their temporary zipline installations. All of these were big hits with those who participated and enhanced the overall guest experience at these marquee events.